Dear all, today, I would like to talk about the city of Cairo, the capital of Egypt. Have you ever wondered what the name of Africa‘s second most populous city, after Lagos, stood for? 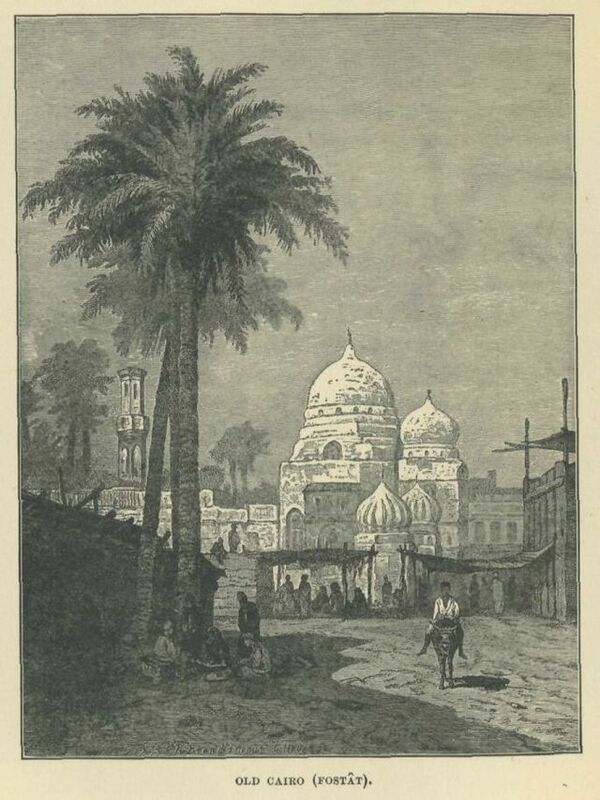 Well, Cairo’s official name is al-Qāhirah, which means literally: “Place or Camp of Mars“, in reference to the fact that the planet was rising at the time of the city’s foundation as well as, “the Vanquisher“; “the Conqueror“; “the Victorious” or, “the Strong” (al-Qahira) in reference to the much awaited Caliph Al-Mu’izz li-Din Allah who arrived from the old Fatimid capital of Mahdia in 973 AD to the city. “The Victorious” is often quoted as the most popular meaning of the name Cairo. The Egyptian name for Cairo is said to be: Khere-Ohe, meaning: “The Place of Combat“, supposedly, in reference to a battle which took place between the Gods Seth and Horus. Sometimes the city is informally also referred to as كايرو Kayro [ˈkæjɾo]. It is also called Umm al-Dunya, meaning “the mother of the world“. 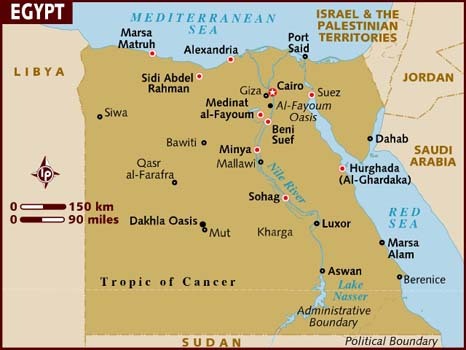 Cairo is located on the shores of the Nile river, as well as on several adjacent islands in the north of Egypt. To the west of the city is Giza, and its ancient necropolis of Memphis on the Giza plateau, with its three great pyramids among which the Great Pyramid of Cheops and the Great Sphinx. The area around present-day Cairo, especially Memphis, had long been a focal point of Ancient Egypt, its pharaohs, and its rich culture, due to its strategic location upstream from the Nile Delta. However, the origins of modern-day Cairo are generally traced to a series of settlements in the first millenium, as Memphis’ importance was declining. In the 4th century AD, the Romans established a fortress town, known as Babylon, along the east bank of the Nile. This fortress remains the oldest structure in the city to this day. Later on, the Caliph al-Mu’izz li Din Allah of the Fatimid dynasty moved his capital from Mahdia in Tunisia to Cairo in 973; and gave the city its present name, al-Qahira (“The Victorious“). Cairo remained the capital through the end of the Fatimid dynasty 200 years later, and has remained the capital of Egypt through the Ottoman rule, and into the modern era. Indeed, Cairo’s life has been quite victorious. Egypt is the land of so many rich civilizations: the great Pharaohs of Egypt, the Greeks, Babylonians, Romans, Muslims with the introduction of Islam; thus Cairo inherited from this wealth and has been a great melting pot. Egypt as a whole, and Cairo in particular, is like an open museum with monuments reflecting different periods of the world’s history. As Africa’s second largest city, Cairo is a vibrant city, with the oldest and largest film and music industries in the Arab world, and the world’s second oldest institution of higher learning, al-Azhar University founded in 969 AD. Please enjoy this great city, Cairo, the Victorious, and hopefully think of visiting it. I believe the name Cairo to be a hidden Cipher – Cairo=Kayro=Khere-ohe= CHI-RHO (Kai Rou) The Greek monogram for Christ (Christos) XP. It is Khere ohe – “the Place of Combat” between Horus (sun over the horizon) and Set (Sunset) is so named as Chi-Rho because Horus is the character that actually represents The Christ.. or the rising of the Christos into God Most High. Cairo is also Al QalihiRAh “Camp of Mars” because Mars rules over the Zodiac sign of Aries – and Aries is the sign of Horus When he becomes the Christ at God Most High and his name is changed to Amun Ra (AMEN -ra) The sun behind the Sun) Ra equally Right Ascension of the Sun — and Aries the Ram (Right Ascension of the Meridian or Right Ascension of the Means Sun) . Good Vibes to all. I believe you are right on all points. This is exactly the reason I came to this page, to examine the origins of the name, believing the Greek letters forming the Christogram also equalls “Cai Ro” (Chi-Rho). I don’t believe in co-incidences. Don’t forget also, what Christians say at the end of a prayer…Amen (Ra). Congratulation on being named such a beautiful name! The Turks who currently rule Egypt are neither indigenous to the region nor the rest of Arabia. Since ancient history is not theirs, defacing precious works of art depicting its great African past seems to be their favorite sport. Almost all the great objects of ancient antiquity showing the true Egyptians have been defaced—-with vicious and racially-motivated attacks on the NOSES. 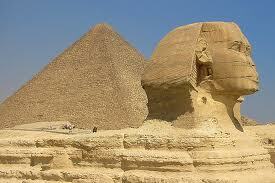 They’d rather say CHEOPS instead of KHUFU just to obscure its Africanness. Modern Egyptian culture, much like those of Algeria, Tunisia, Libya, Morocco, Mauritenia, etc. is pretty much Turkish.